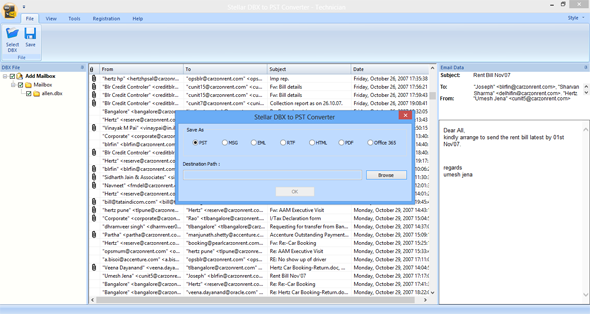 *Free trial version shows preview of the converted mails without 'To', 'CC', & 'BCC' fields. 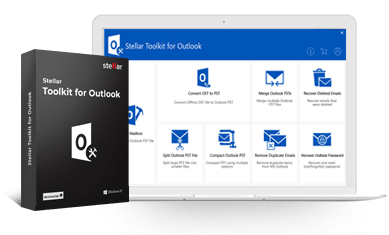 Converts Microsoft Outlook Express file into a PST file and facilitates users to access their Outlook Express mailboxes through Outlook application. 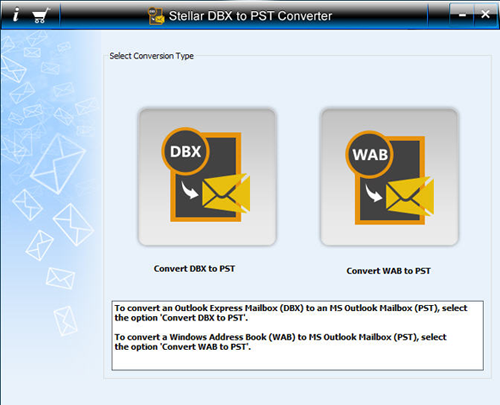 The software can convert a single DBX or your entire Outlook Express identity to PST file. 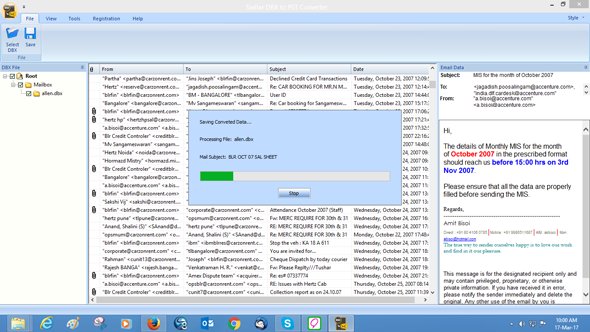 It automatically displays the path of default Outlook Express identity. 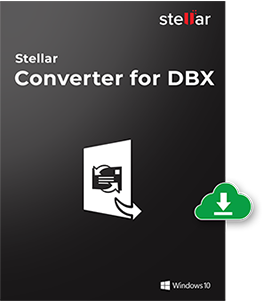 Stellar Converter for DBX software allows the end users to save their output file into Office 365 format. This feature provides an option to experience Office 365 mail application with existing emails of Outlook Express. This software facilitates another option to transfer entire contacts of Windows Address Book (WAB) file in to MS Outlook based Personal Folder File (PST). 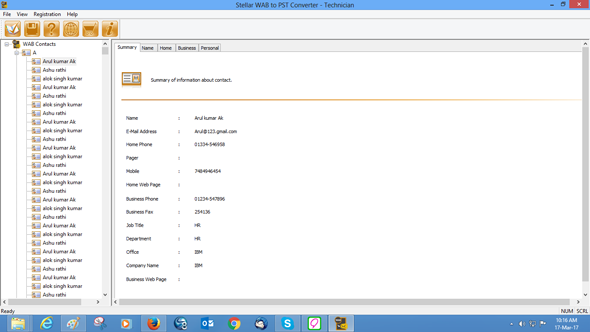 With simplified interface, you can store whole contacts of Outlook Express in to MS Outlook. 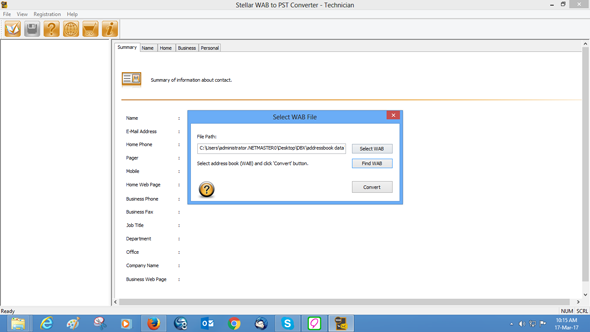 Apart from storage of contacts in existing PST file, you can append WAB contacts in existing profile or can stores in new PST file. For the users, who do not know the exact location of their Outlook Express files (DBX), Stellar Converter for DBX provides a distinguished option ('Find DBX') to list all the DBX files in the system. 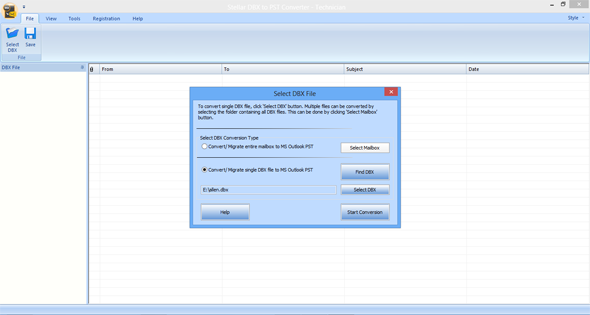 From the list of DBX files, you can select the required one and convert it to equivalent PST file. The software allows converting multiple DBX files in a single operation by selecting the folder that contains all the DBX files. You can perform multiple DBX file conversion through the 'Select Identity' option of the software. 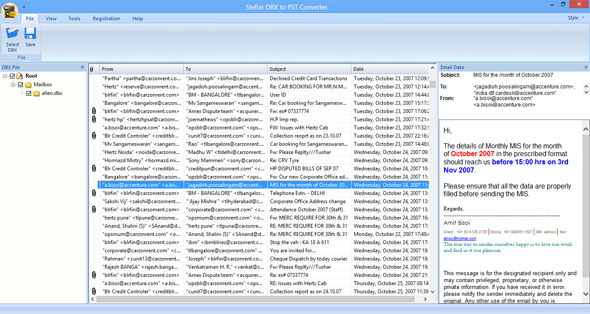 After completion of the DBX to PST conversion process, the software shows preview of all the mail folders inside the converted mailbox. 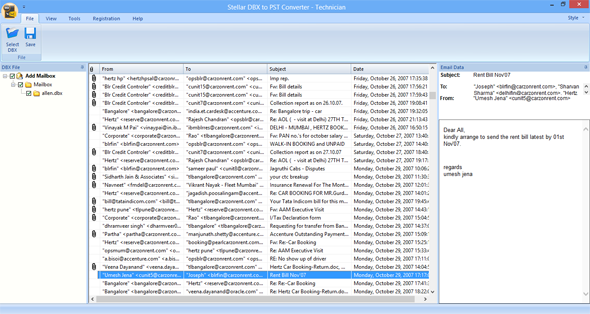 The upper pane of the interface shows the mails in the selected mail folder and the bottom pane shows the content of the selected email. 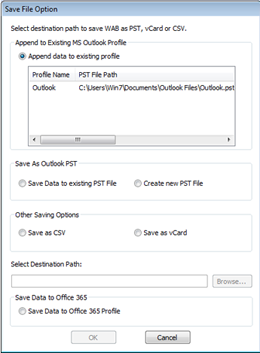 Outlook user can add multiple identities (Outlook Express profile) for scheduling conversion in multi-tasking environment. 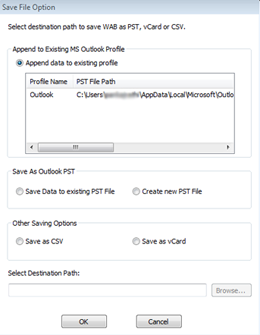 After conversion, theses identities can be added into MS Outlook to save time and chances of error. * Free trial version shows preview of the converted mails without 'To', 'CC', & 'BCC' fields. During free trail with Stellar Converter for DBX, I realized the authority of tool with result in preview mode. After seeing assured result in demo version, I didn't waste a single moment to get full version of software. I specially thanks for your masterful skill in email conversion with record speed.